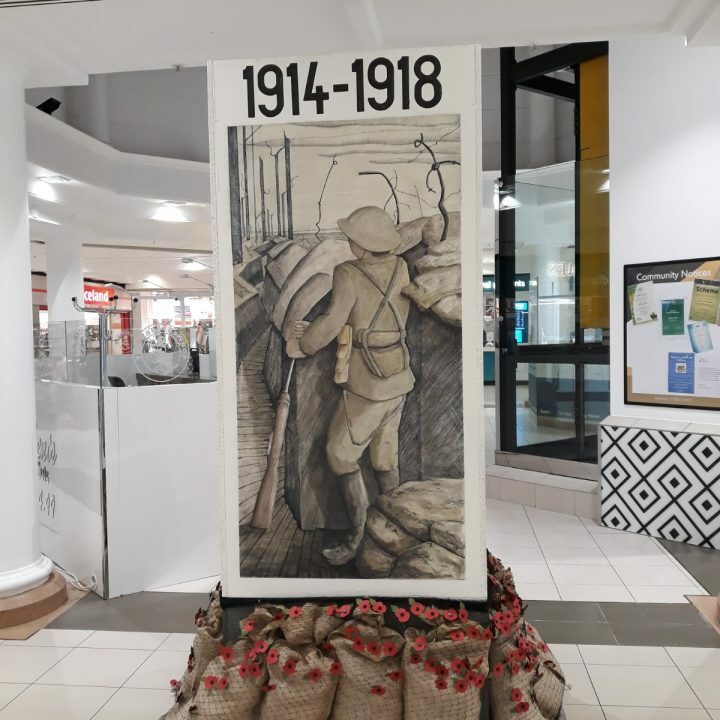 An art installation has been revealed at a Hull shopping centre to mark the end of the WW1 centenary and increase donations to The Poppy Appeal. A seven ft tower has been installed at Prospect Shopping Centre, created by students at Hull School Art and Design, and shoppers are being encouraged to buy two poppies from the Royal British Legion volunteers in the centre and place one of them on the foot of the tower. The launch of the art piece comes shortly after the Royal British Legion launched the 2018 Poppy Appeal with a series of artistic installations, which have been built in locations across the United Kingdom with a connection to the history of the Great War. Maria Kamper, centre manager, says volunteers have already filled five donation tubs and hopes the artwork will remind people how important it is to say ‘thank you’ to the First World War generation. She said: “Prospect centre is always proud to take part in Poppy Appeal, which this year marks the centenary of the end of the First World War, as we remember all of those who served. The art installation can be found on the mall, in between Gold Smiths and Warren James.